The Wrath of Khan has to be my favorite Trek movie. I know, it's nearly everyone's favorite Trek movie, but for me, this realization is pretty recent. The only Trek movie I saw in theaters was The Undiscovered Country, and it swiftly became my favorite. My young mind had a hard time enjoying TWOK quite as much. After all, look at those haircuts! Well, adulthood has led to a maturing of opinion, and I definitely enjoy TWOK far more. There are two commercial releases out there: the theatrical cut and the director's cut. 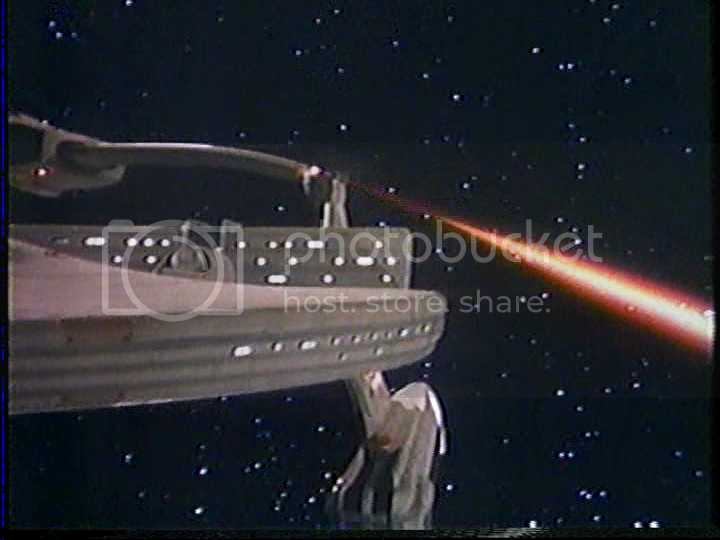 But relatively few are aware of the ABC cut, shown a few times in the early 80s. The director's cut is very similar, but there are minute differences. 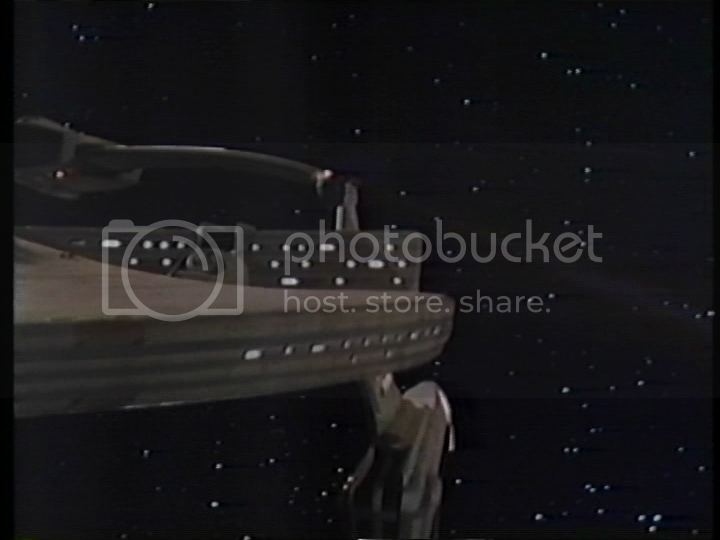 According to the extremely knowledgeable Grant at trekbbs (and I say that with absolute sincerity, he really knows an awful lot about Star Trek minutia), there are only three differences between the director's cut and the ABC cut: widescreen vs. P&S, an additional computer line during the Kobayashi Maru scenario, and most significantly, this alternate version of the turbolift scene between Kirk and Saavik. 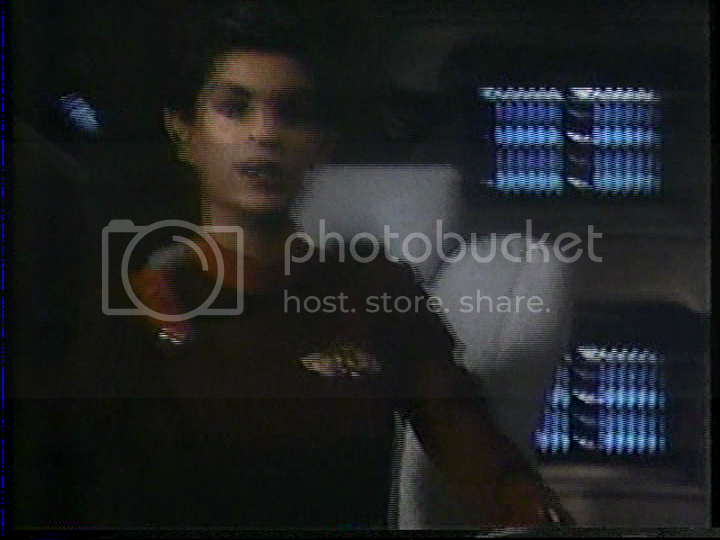 Silverwook has kindly provided me with a TV recording of the ABC cut, missing only a few seconds at the beginnings of scenes resuming after commercial breaks. None of these slight gaps affects any of the alternate scenes. He has also provided me with the LD version of TWOK, which is the theatrical version in P&S. He suggested that someone make a preservation, something which I could probably not do any time in the near future, as I lack software, hardware, and greenbacks. 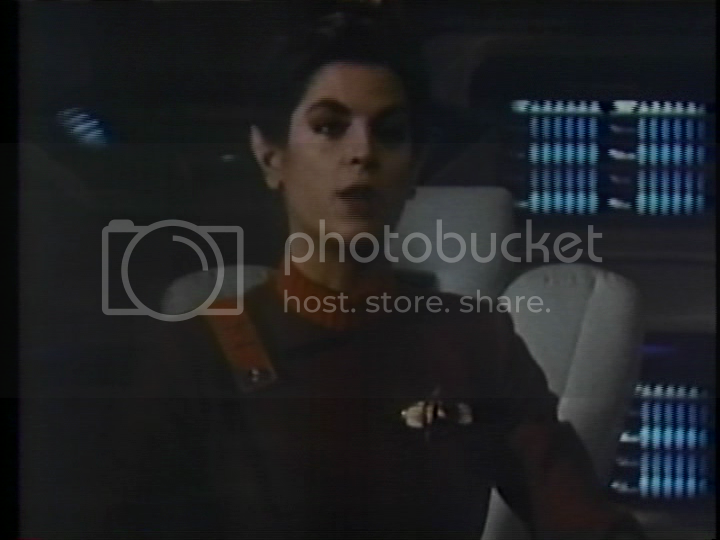 However, I am planning on putting this up on MySpleen, and I think it would be awesome if someone used both sources to preserve the ABC cut, splicing the VHS recording in with the LD footage. 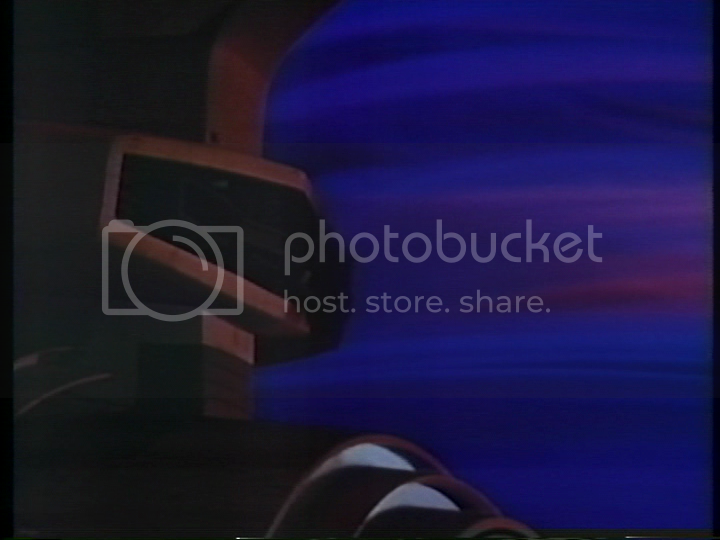 I had a lead on another version of the ABC cut, which to my understanding was actually originally made from a spliced VHS (original theatrical with ABC recording put in where appropriate). I have yet to obtain this, and I can't help but wonder if there are inaccuracies, but if I get my hands on it, I could put that up as well, so that all the best versions could be put together. Is anyone up to the challenge? Oooh...I'll definitely snag these once you put them on the Spleen. I'd be interested in putting together a composite version when I have some free time. But, no guarantees of when that would be. I'd love to also see a preservation of this! Love TWOK! Assuming I did it right, it should be up at the Spleen right now! Brilliant! I've been looking for this since I first read about it in Starlog magazine in the late 80s. Happy to help. Please forgive if it takes a while to get it all uploaded. I can't leave the computer on all the time right now. JEDIT: I want to remind everyone that SilverWook deserves the credit for recording and digitizing this. All thanks should go to him, really. Lots of cool things to grab besides TWOK. I included pictures, deleted scenes, and the older and remastered versions of Space Seed. After a slow upload, people completely snatched it overnight. Get it while it's hot! In what form did Silverwook provide the recording? I take it from post #6 that it's his own recording. Yes, he recorded it off TV onto VHS. I'm not sure what you mean by what form. He later converted his recording to DVD. It's surprisingly high quality, but I'm not sure I can give you better information. @White Bear, I'll see if I can help you. I actually was fortunate enough, thanks to Captain Khajiit of FE.org, to get another, different version of the ABC cut. I have now put that up on MySpleen as well. With all the sources I've provided, I believe anyone who desires (hint hint) could create a very nice preservation. JEDIT: FYI Captain Khajiit has also made these available on tehparadox as well, if anyone prefers that method. Happy to help. SilverWook is the one who really deserves the credit. He made a very nice preservation. I have here some screencaps between the two versions I now have obtained. Obviously I was not terribly concerned about getting the exact frame. 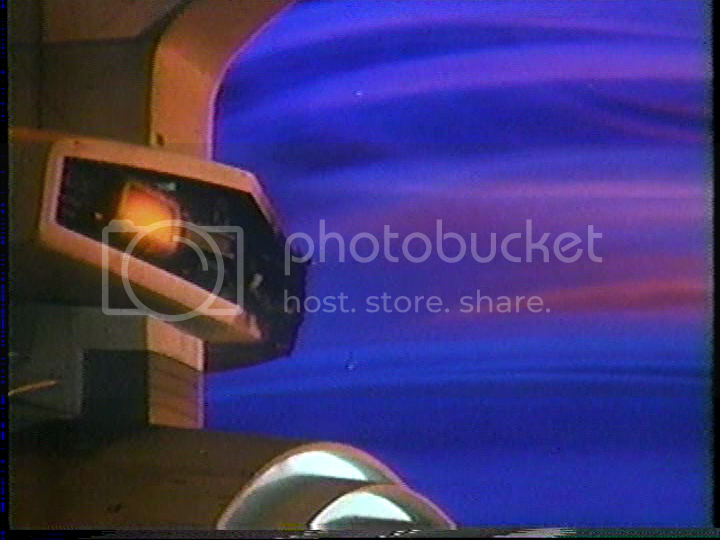 As you can see, SilverWook's is clearer, though there is a slightly noticeable vertical bar present in the near-middle of the frame most of the movie. Also there are a few seconds missing at times when resuming recording after a commercial break. I have not watched the more common version yet, but it's obviously much fuzzier and has seriously blended frames. I'm not yet aware if there are commercials or cut off seconds after breaks. My preference between the two goes for SilverWook's. If one were to preserve this, his would be the version I'd go for. First off, thanks to Silverwook and darth_ender for making both of these recordings available. I've been curious about this cut for decades, and now two versions in one week. Thank you!! After seeing them both in action I agree about the Silverwook recording being superior. The black area in the middle of the screen looks to be some disturbance in the broadcast signal at the time of airing. It is all but invisible if the contrast is raised a bit. To the best of my knowledge, most of the edits made for broadcast were to mute profanity. Besides the Seti Eel scene, the shot of the eel falling out of Chekov's ear is slightly trimmed as well. IIRC, there was one accidental pause early on, either from the random times the family VCR picked up a stray remote signal from the neighbors, or operator error. It doesn't affect any of the extended footage. Should the network announcer over the end credits be preserved as well? That's true, I hadn't considered the sanitizing edits for TV. These should certainly be preserved as well. Captain Khajiit at FE.org says that he has the skills to preserve it, but like most of us, he lacks the time. He would prefer to use better source material than the LD for most parts, and I can see why. It'd be like a Despecialized-style preservation. I myself would probably prefer to use the lower quality of the LD. I feel fades, trims, and even the "Edited for Television" should all be preserved. I don't know about the network announcer. Perhaps he should but I don't know that it's necessary. Probably if it included commercials, I'd say yes, but since we don't have the commercials, I don't think it's needed. Just my two cents. Just FYI... that announcer is Ernie Anderson who was "the voice of ABC" from the late '70s all the way to the '90s. He is also the father of film director Paul Thomas Anderson (Boogie Nights). I'll hear that man's voice in my head until the end of my days... "The Looooooooovvvvee Boat." I can't see how using a better full frame source, (if one could even be found) is going to make cutting to the ABC footage less jarring. The old LD is a good match, and the pan and scan is mostly the same, although a couple shots of tactical displays are different. This could be a good composite. Looks like the LD and the Silverwook version is very close. You're welcome. Ah yes, it was the Betamax tape from hell. Was the LD audio of any use? Am I going to get a copy of that project when it's done? I downloaded everything that was uploaded and I know that I would be interested in seeing this happen as well. I do not have the skills to do it. Maybe when other folks busy with projects get some down time they might consider taking this on. So, I walk over to the tv around the time Kirk boards the Enterprise. Crossing my fingers here. Extended Peter Preston scene or not? HOLY CRAP! IT IS THE ABC CUT!!! Even the commercial breaks/fade outs seem to be in the same places. Who knew this this video master was even still around? Does anyone have a really good feed for ThisTv they could record? According to the website, it will be shown again Sept. 23. It is far too heavily compressed on my cable system. (Like a bad VCD.) We have got to get this recorded before somebody realizes they've let this version sneak back out! The only downside is that annoying logo bug in the corner of the screen, and some popups coming out of commercial breaks. The popups ought to be gone by the time the extended footage comes up.